You can also book reservations for a great collection of group events and team building events. FUN BEACH THE BEACH is open from saturday may 3 until sunday, September 15 and every day from 10.00 till 19.00 hr. Enjoy the summer! A lovely day out at the beach situated on a great location at the water. That's what Fun Beach the Beach stands for. Incredible enjoyment for young people and adults. your friends. Kids can enjoy themselves on the bouncing castle, trampolines and a range of different playground objects. Water sports enthusiasts who feel the need for adventure can go Flyboarding and enjoy their day to the max! Fun Beach The Beach most impressive attraction is the Mega Aquapark. This is the biggest Aquapark in the Netherlands. 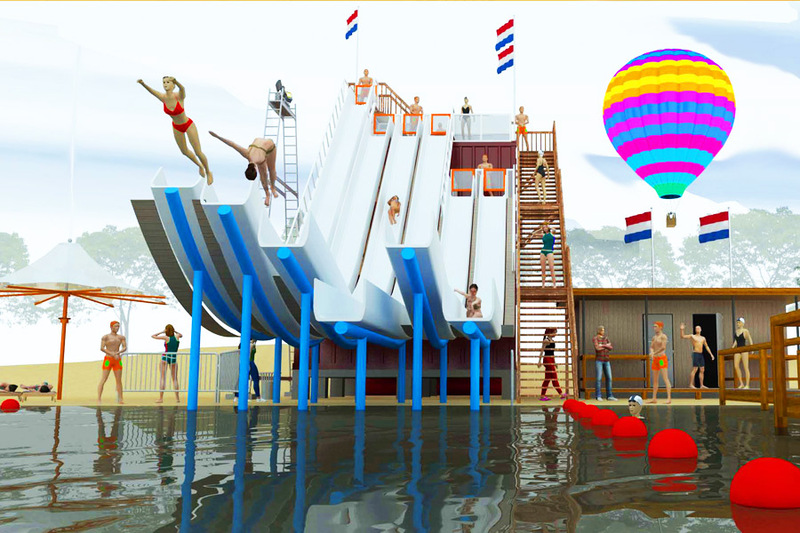 A 2.000 m2 big island in the water consisting of several floating, playground objects including the monkey bars, rodeo slide, flipper, halfpipe, and hurdle. Here you can live out your fantasies to your heart's content. A treat for the eyes and a dream come true for everyone who likes to climb, slide and jump! More interested in daring acrobatics? Real die-hards can try out our spectacular Flyboarding. Experience an adrenaline kick you will never forget! 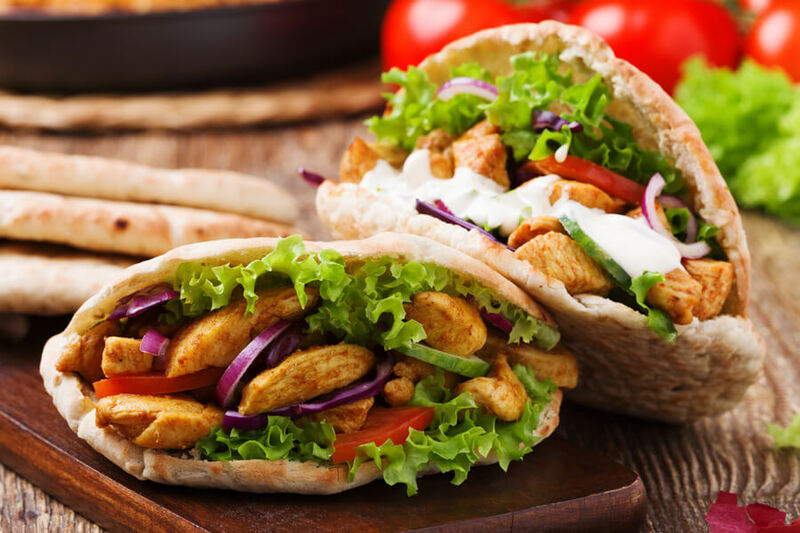 Enjoy our delicious, summer snacks and drinks in the relaxed atmosphere of one of our take away corners on the beach! Imagine this: skating during a temperature of twenty degrees. That's something you don't do every day! Summer Skating makes it possible. In no time you will be a skate champion on our specially designed skates and synthetic skate course. Experience the ultimate skate sensation in the middle of summer! Didn't have enough water fun yet? You can rent some cool vessels in Fun Harbour including a sup-board, waterbike, and a canoe. Good times guaranteed! At the moment we are hard at work creating a new water attraction of the highest standard: The Super Slide. 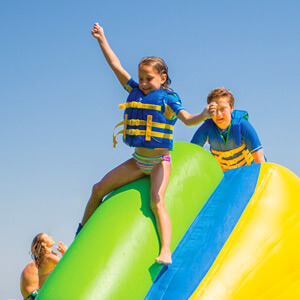 A spectacular giant, five-piece waterslide where you can slide down with sizzling speed. This top attraction is planned to open in the summer of 2019. Fun Beach Group Events is the in-house event agency of Fun Beach Event & Leisurepark. 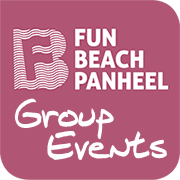 For 20 years, Fun Beach Group Events is the organizer of the most fun group outings in Limburg. Because of the beautiful setting at the water and the beach, this recreational park is the ideal setting for the craziest, most exciting and original group events. Whether they are sportive, educational, intense or relaxing, indoor or outdoor: more than 100 different activities are possible. 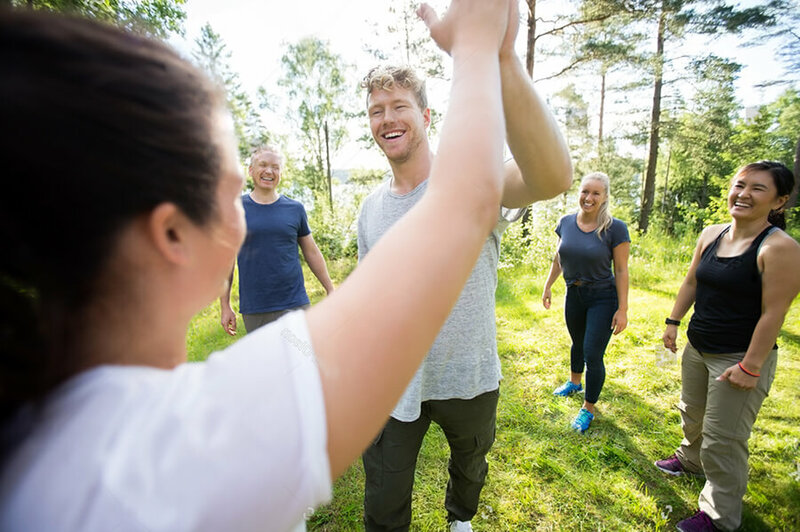 It doesn't matter if you are looking for a fun company outing, a playful bachelor day, a cozy family day out or a school trip in Limburg: Fun Beach Group Events creates the perfect day out for you! 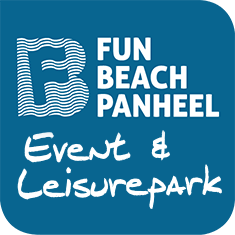 A company outing at Fun Beach Event & Leisurepark in Panheel is the best method to reward your company or team for their boundless dedication. The possibilities are endless. 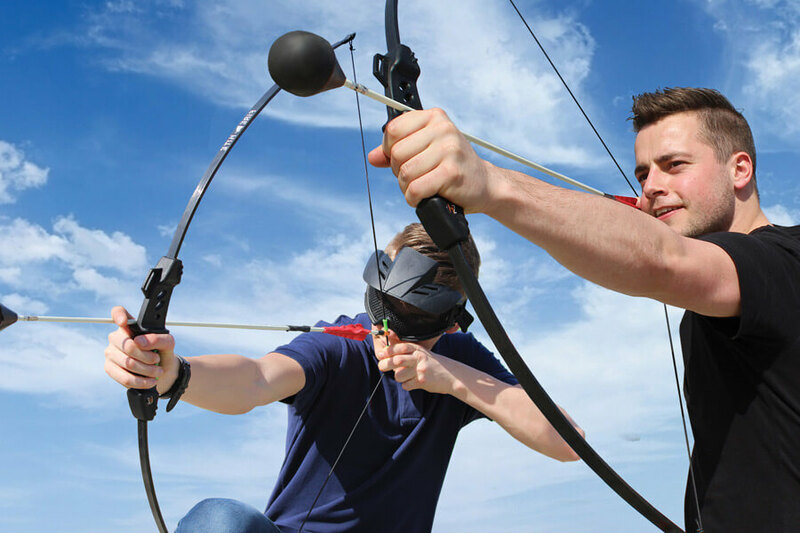 You can combine your staff outing on Fun Beach Event & Leisurepark with a range of sportive, recreational or educational teambuilding events. There are plenty of opportunities for workshops and group activities with a varied daily program! Maybe you want to take your family for a day out? You don't see your sisters, brothers, uncles, and aunts very much anyway. And you want to do something totally different than the usual family outing like bowling? 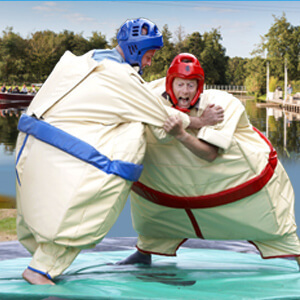 Then a family day out at Fun Beach Event & Leisurepark is something to look forward to! 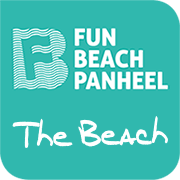 With a group outing at Fun Beach, your family and yourself will have the time of your life! Are there (young) kids present at the family outing? How fitting, because kids can also go wild at group events, for example at a Kids Fun party. Is the wedding of one of your friends about to take place soon? All the more reason to paint the town red with an unforgettable bachelor party. And preferably one with a little bit of a kick! 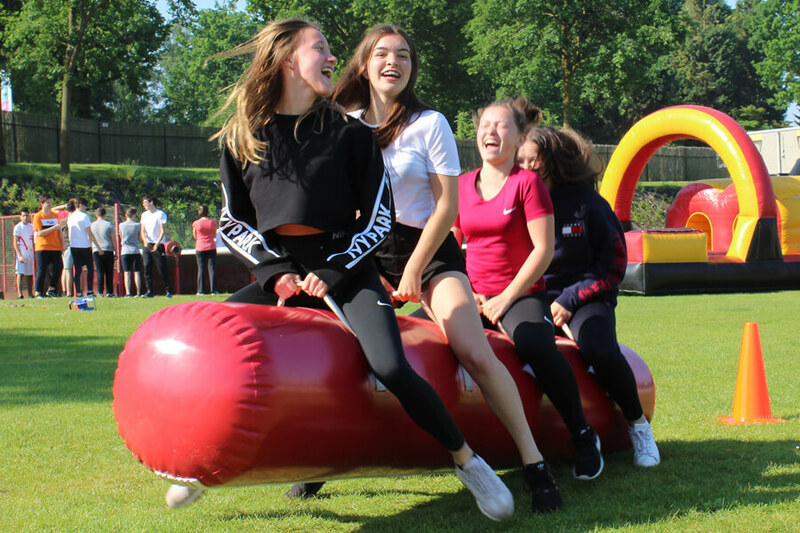 Together with your friends, you are at the perfect place in this recreational beach and beach club in the middle of Limburg for an unforgettable experience. We have multiple group activities and workshops for you to go all out! Fun Beach Event & Leisurepark is also the ideal destination for a school trip. Why? That's easy: here your students will find everything their hearts desire. Starting with the Mega Aquapark, the ultimate water attraction at Fun Beach The Beach. Naturally, a Group Event is not complete without a snack and a drink. In that regard, Fun Beach Event & Leisurepark has you covered. Before, during and after the activities, delicious food and drinks are available at Beachclub Degreez, our stylish beach club with a panorama view on the water or in one of our food corners on the beach. This much is clear: at Fun Beach Group Events you can experience the best group outings in Limburg. A beautiful beach club, situated at Fun Beach Event & Leisurepark. an extraordinary place where you want and will be seen. Beachclub Degreez is the location for business and private events and celebrations. 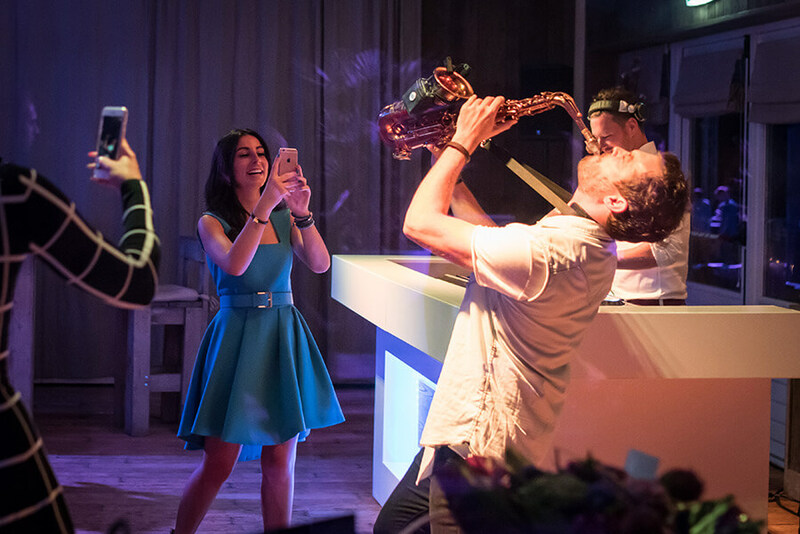 An exclusive product presentation, an inspiring business meeting, a smashing staff party of an unforgettable wedding at the beach: Beachclub Degreez creates every desired event or celebration. Experience a unique concept, a pure experience, warm hospitality, and first class service. Beachclub Degreez, discover and enjoy! Waving palm trees, a pearl white beach, and luxurious lounge-terrace with the best drinks and snacks within reach. Beachclub Degreez in Panheel offers you the ultimate summer feeling. 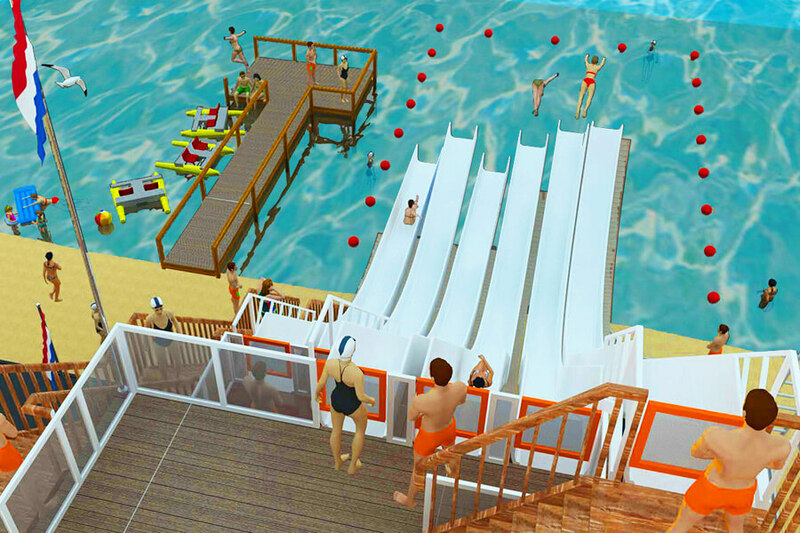 When you enter the fully wooden build Beachclub Degreez, visitors are immediately plunged in a pleasant Mediterranean atmosphere. From the expansive outside terrace, you can enjoy a beautiful panorama overlooking the water and the adjoining pier which completes the scene. A piece of the Côte d'Azur in the middle of Limburg! Beachclub Degreez has three rooms, Degreez White, Degreez Lodge, and the Degreez Main Room, offer you all possible facilities at your disposal. A wedding at the beach, a family gathering, a birthday party, a bachelor party, a baby shower or a business event like a meeting, seminar, company outing, anniversary celebration, a product presentation, new year celebration or a Christmas party. 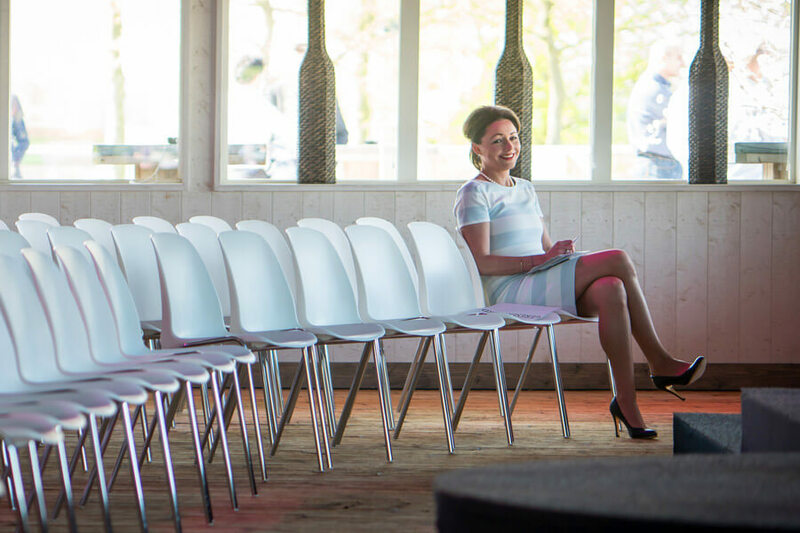 Any private or business event you have in mind, Beachclub Degreez in Panheel can offer you the perfect setting for your event and celebration in Limburg. 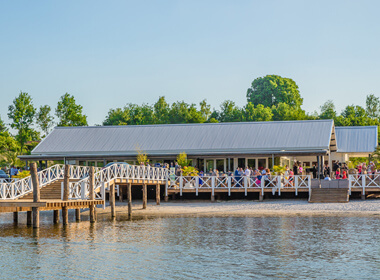 Beachclub Degreez owes its name as a top location in Limburg to it's many entertaining and sportive group activities that are available in the splendid spaces of the beach club, the expansive terrace, the surrounding beach or in and on the water. 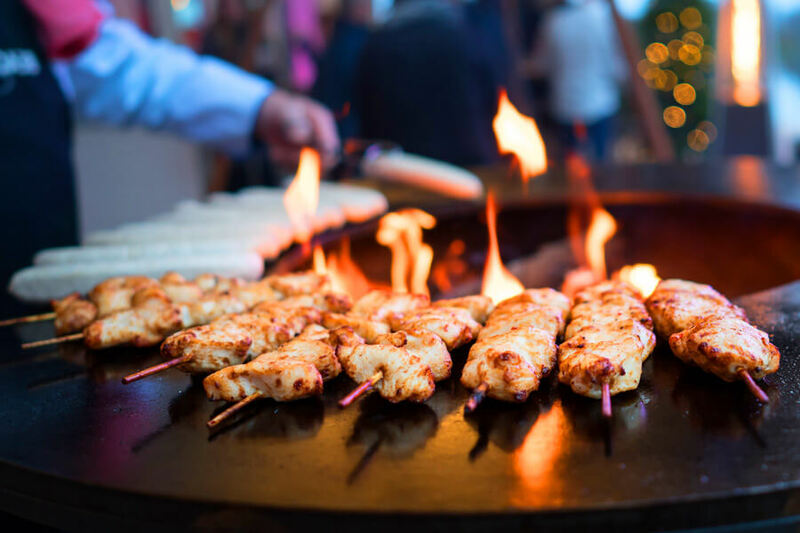 You can add a special cachet to any event thanks to the wide range of offerings like group activities and workshops that our in-house event agency Fun Beach Group Events gives you. Beachclub Degreez is also the ideal multifunctional event location. For every business event and for every group of 10 to 1000 persons, the beach club can be tailor-made and fully decorated to suit your event. If required even in your company style thereby creating your own individual business surroundings. All this makes Beachclub Degreez THE top location for successful business and celebrations in Limburg! At every time of the year, Beachclub Degreez is the perfect location for a business or private event or celebration. In the summer a stay at the partly covered terrace supplied with two aqua blue pools and a wide selection of comfortable lounge sets makes for a unique experience. An expansion of the terrace is the pier; a unique location for your romantic moment for couples to say: 'i will', an original place for a meeting or the stage for a spectacular product presentation. During the winter the beach club has an enchanting winter setting and its transformed into Beachclub Zero Degreez. 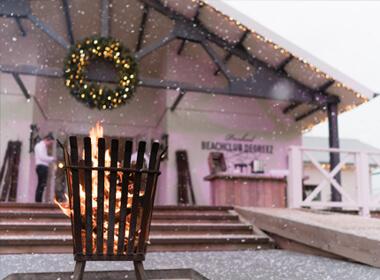 From Oktober until March the Beachclub is fitted in a stylish winter coat and falling snowflakes, fireplaces, comfy sheep furs and flickering lights set the scene. 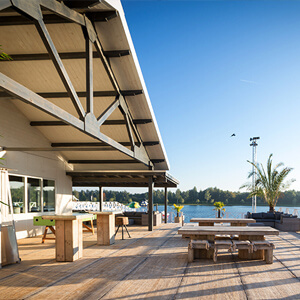 Business or private, summer or winter: Beachclub Degreez is THE location in Limburg for a successful event of celebration. FUN BEACH FOUNTAIN, ONE OF THE HIGHEST FOUNTAINS IN THE WORLD! of 120 meters it's also one of the hightest fountains in Europe! On special request, Fun Beach Fountain is beautifully lit in the evenings. a visit to it Fun Beach Event & Leisurepark more than worth it! 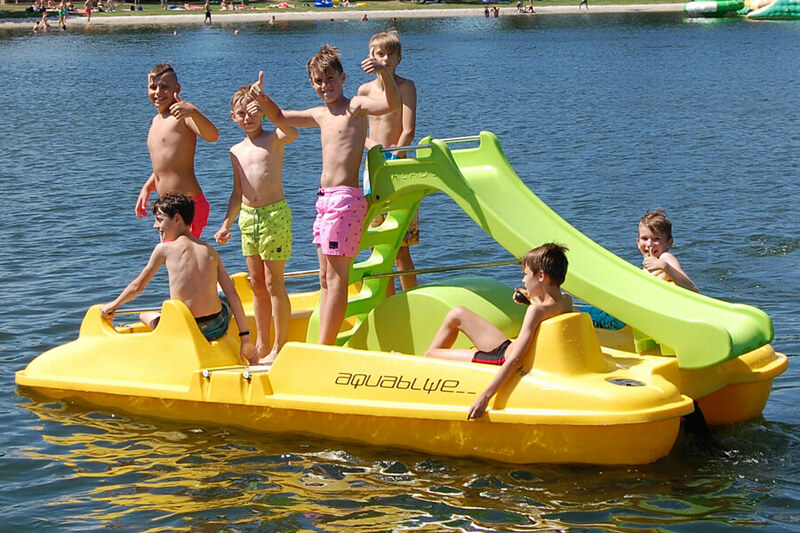 Fun Beach Fountain has been made possible in part by subsidies from the Province of Limburg and the Municipality of Maasgouw. 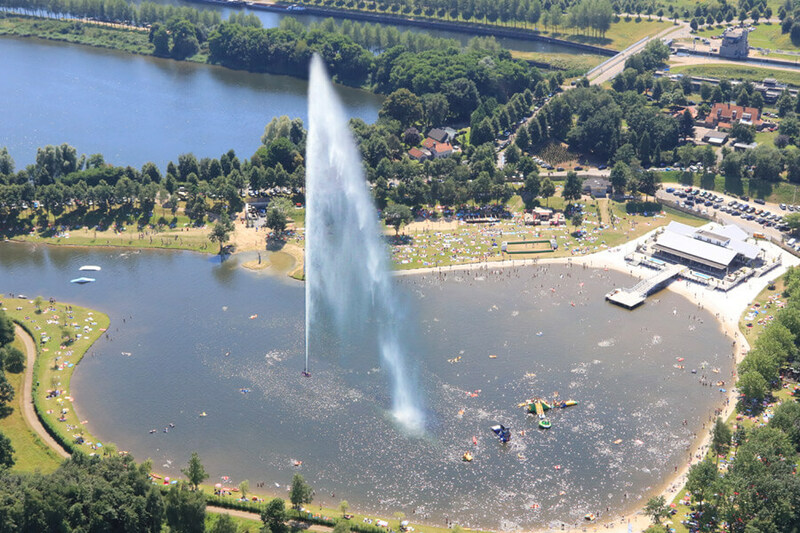 The idea for the giant fountain came about because the management of the Fun Beach Event & Leisurepark wanted to realize a unique attraction to put the Central Limburg Maasplassen area even better on the map. The recreation park was inspired by the Three-Country Point in Vaals. 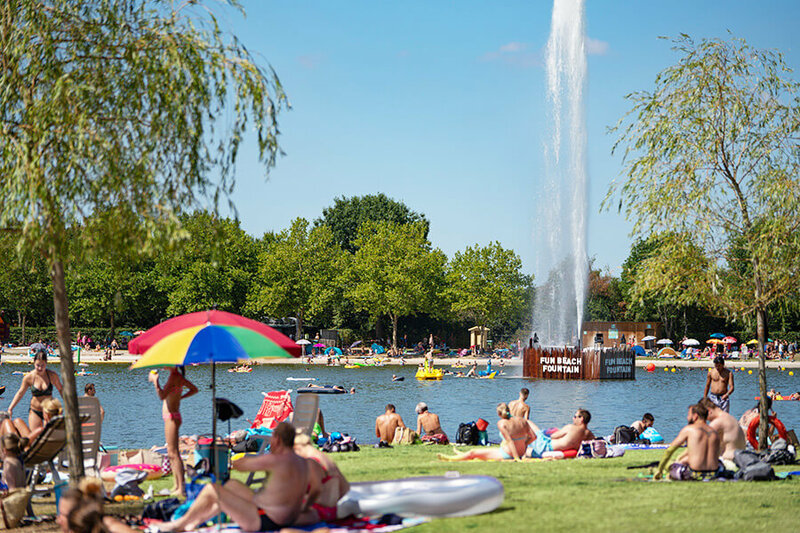 Just as the Three-Country Point is the undisputed landmark for South Limburg, so Fun Beach Fountain has now become the absolute eye-catcher in the Maas Limburg Lake District. A landmark that the entire region can be proud of! 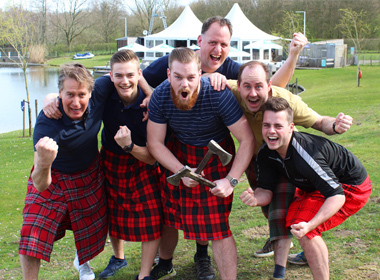 A team of engineers from Central Limburg and specialized companies led by Sjef van der Horst worked for more than a year and a half on the complex technical installation that is hidden behind the giant fountain. The result is impressive: the water comes out of the nozzle at a speed of 250 km and with a pressure of 18.5 bar, good for a 120 meter high jet. 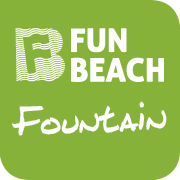 The impressive sight of Fun Beach Fountain alone makes a visit to the Fun Beach Event & Leisurepark more than worthwhile. But apart from a giant jet that - under good weather conditions - spouts 120 meters high into the air, the fountain can also spray a wide water screen onto which a spectacular light show can be projected, resulting in a magical spectacle. A spectacular multimedia water, fire and light show can also be shown on request during a Beach Club Degreez event. For example, a staff party where the company logo is projected on the broad water basin of the giant fountain in the evenings. Or a wedding on the water with arrival at the Beachclub Degreez pier when saying "I Do" the Fun Beach Fountain starts spontaneously spraying. As a spectator, you can, in any case, look forward to a great visual spectacle! Fun Beach Fountain is a high-tech fountain, incorporating the latest techniques. This way, Europe's second highest fountain, is beautifully illuminated in the evening hours by eight super powerful LED-lights. These are the most powerful lights available at the moment. The Fountain is being controlled by an app where you can determine the color of the lights, the spray height, and the nozzles, all remote-controlled from a distance. Do you want to admire the giant fountain from way up up-close? That is also possible. Make a reservation for a group trip around the fountain on our boat. If you're a visitor of Fun Beach you swim to the fountain or use one of our water cycles or canoes to paddle around the giant water beam. An experience you won't soon forget. 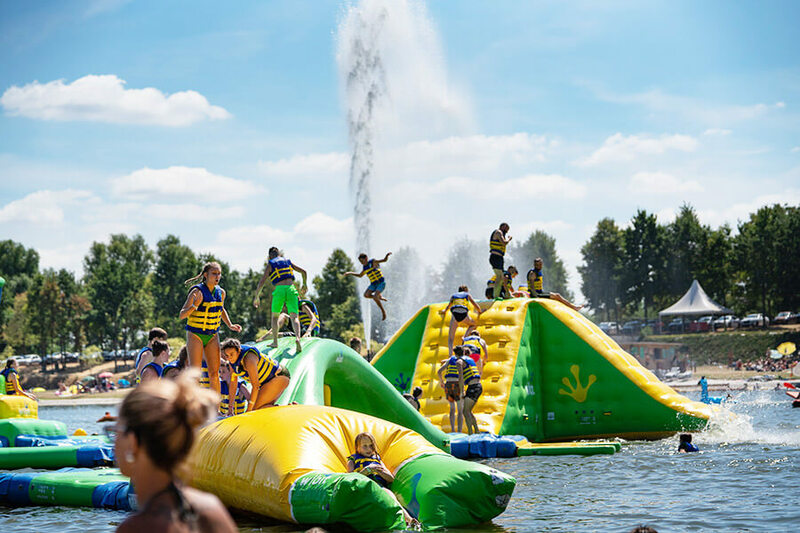 In the development of Fun Beach Fountain, safety was, of course, paramount, so that the spectators of the giant fountain and the day visitors of the Fun Beach Event & Leisure park are completely safe. The spray height is automatically adjusted in case of strong wind and the fountain does not pose any danger to swimmers during spraying. Even the fish in the recreational lake of Fun Beach have been thought of because these to are not affected by the enormously powerful fountain. This makes Fun Beach Fountain not only very spectacular but also extremely human and animal-friendly! MULTIPLE TIMES A DAY AT FULL POWER! Fun Beach Fountain is THE attraction of Fun Beach The Beach on hot summer days. From 13:00 to 16:00 the giant fountain will then continuously spray around 40 meters high. 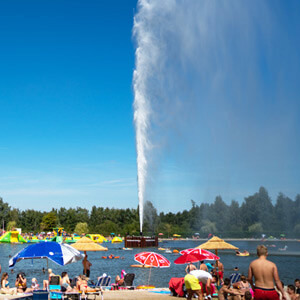 In good weather conditions, Fun Beach Fountain can be admired in full glory several times a day and a spray height of no less than 120 meters is achieved! Moreover, the fountain regularly alternates a high straight jet with the spraying of a wide water screen of 60 meters by 30 meters. A Feast for the eyes any way you look at it! Since 1951, the fountain at Lake Geneva in Switzerland, with a spray height of 140 meters, is Europe's highest fountain and also one of the largest fountains in the world. Since the official commissioning in July 2018, Fun Beach Fountain, with a spray height of 120 meters, can also call itself one of the highest fountains in the world. 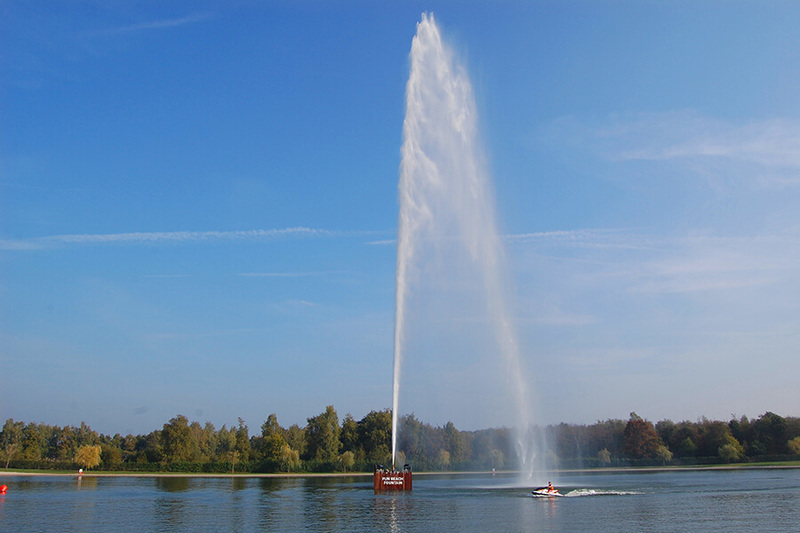 As the second highest fountain in Europe, Fun Beach Fountain is also the landmark of the Central Limburg Maasplassen area. engineers and specialized companies worked for more than a year and a half on the complex technical installation behind the giant fountain. The water comes out of the nozzle at a speed of 250 km and with a pressure of 18.5 bar, good for a 120-meter high jet. At full power, the fountain can move 760 cubic meters of water per hour. Fun Beach Fountain will eventually spray between 140 and 150 meters high. We are currently working hard to optimize the entire technical installation. The installation of the giant fountain weighs 50,000 kilograms in total and has been placed in the water of the Fun Beach Event & Leisurepark with the help of a 400-tonne mega crane. The giant fountain is not fixed at one point, but floats on the water and is therefore movable. In addition to a straight jet, the giant fountain can also spray a wide screen of 60 meters by 30 meters on which a spectacular light show can be projected. On request, for example, as part of an event at Beachclub Degreez, a spectacular multimedia water, fire and light show can be shown, to the beat of the music. On request, it is possible to admire Fun Beach Fountain from very close by boat. In the evenings, the giant fountain is beautifully illuminated by eight super-powerful LED lamps. Safety comes first. 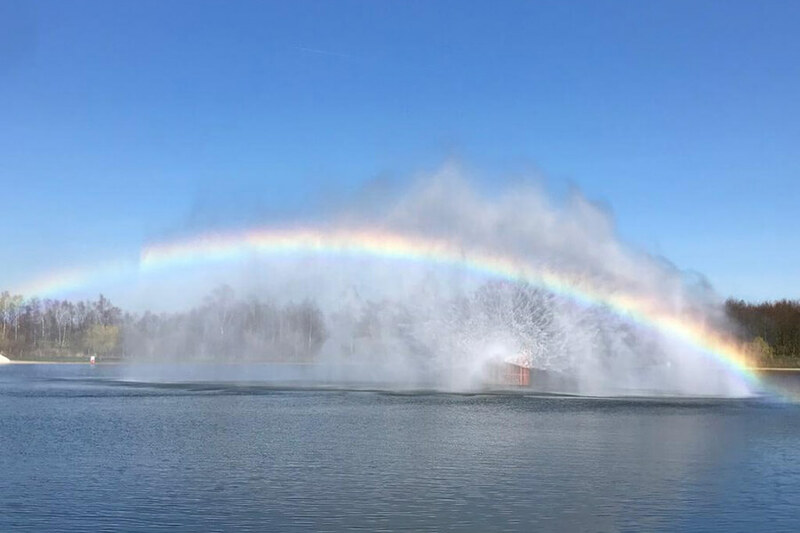 The spray height is automatically adjusted in case of strong wind and the giant fountain does not pose any danger to swimmers and fish during spraying. During the summer season, you can see Fun Beach Fountain in full force several times a day, reaching a spray height of 120 meters. 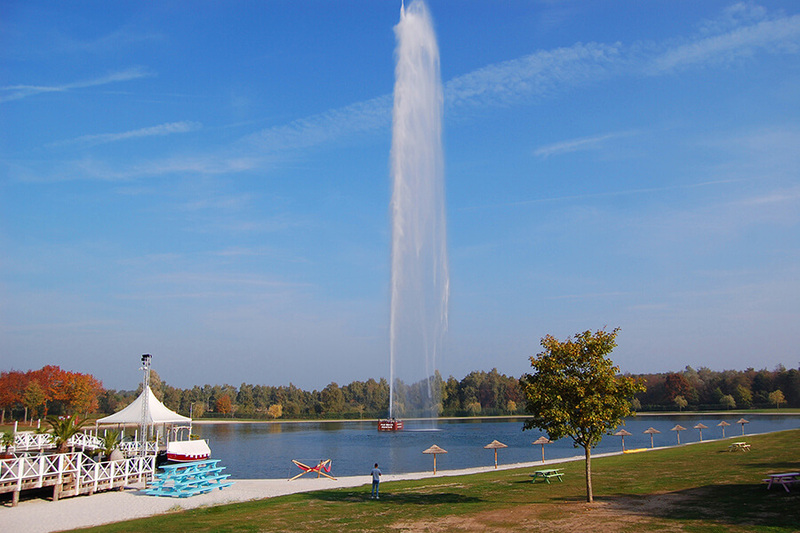 Fun Beach Fountain is almost entirely produced and developed by companies in Central Limburg.